Which of the top 35 rated musicals is your favorite? Wendy and her brothers are whisked away to the magical world of Neverland with the hero of their stories, Peter Pan. The story of the legendary outlaw is portrayed with the characters as humanoid animals. A living puppet, with the help of a cricket as his conscience, must prove himself worthy to become a real boy. Exiled into the dangerous forest by her wicked stepmother, a princess is rescued by seven dwarf miners who make her part of their household. The story of a young deer growing up in the forest. When Cinderella's cruel stepmother prevents her from attending the Royal Ball, she gets some unexpected help from the lovable mice Gus and Jaq, and from her Fairy Godmother. After being snubbed by the royal family, a malevolent fairy places a curse on a princess which only a prince can break, along with the help of three good fairies. 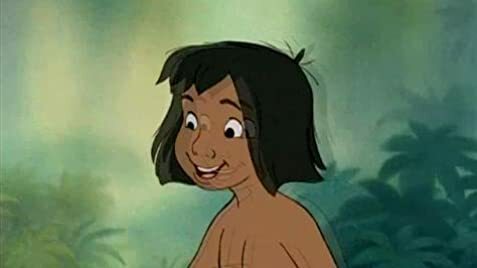 Bagheera: Many strange legends are told of these jungles of India, but none so strange as the story of a small boy named Mowgli. It all began when the silence of the jungle was broken by an unfamiliar sound. Bagheera: It was a sound like one never heard before in this part of the jungle. It was a man cub! Had I known how deeply I was to be involved, I would've obeyed my first impulse and walked away. 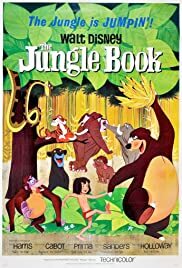 Q: Why is the movie entitled 'The Jungle Book' when there are no references to the original book in the movie? It may interest readers of these reviews that the voice actor who played King Louie is not in fact black. If you follow this helpful link right here at imdb ( http://us.imdb.com/Name?Prima,%20Louis ), you'd find that Louis Prima is in fact white, and was quite well known at the time for his musical repertoire, of which the song "I Wanna Be Like You" is a prime example. I don't think he was chosen for that role because of how 'black' he sounded, but rather for his musical abilities, and how that fit into the character of King Louie. As with all the other voice actors chosen for this film, Walt Disney made perfect choices.... so much so that the film works perfectly: animation, voices and story all mesh together perfectly to make one of his best films, precisely because it *is* so simple, yet effective. No need for fancy computer graphics here. 27 of 47 people found this review helpful. Was this review helpful to you?